Why Do Babies Sleep With Their Eyes Open? 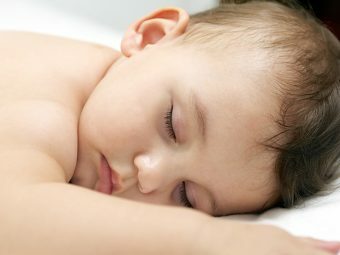 Some infants sleep with their eyes partially or entirely open either during naps, bedtime, or both. 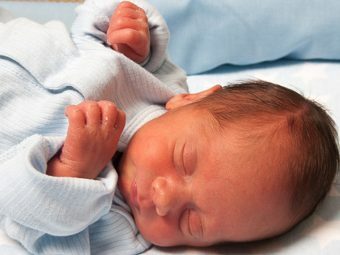 A baby sleeping with their eyes open may be a cause for concern in some parents. Is it normal for an infant to doze off with their eyelids barely shut? MomJunction gives you all the essential info and reasons behind why a baby sleeps with eyes open, and whether it is safe for them. Your baby sleeping with the eyes open is a much more common occurrence than you may think. While it does not denote keeping the eyes wide open, it is more of a condition where the eyes look almost open. 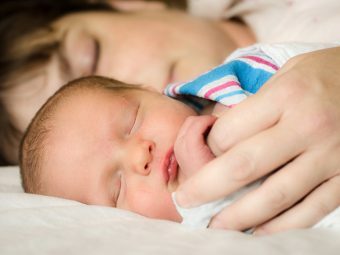 Here are two reasons that should give you a better understanding on why babies prefer sleeping while their eyes are open. According to a couple of researchers, sleeping with eyes open among babies can be a hereditary problem. If you or your partner has a habit of sleeping with your eyes open, there is a possibility that your baby is going to inherit that behavior from you! The second reason is not very popular and hardly occurs. Some doctors have stated that sleeping with eyes open could be a sign of facial nerve damage, different kinds of tumors or even thyroid problems. 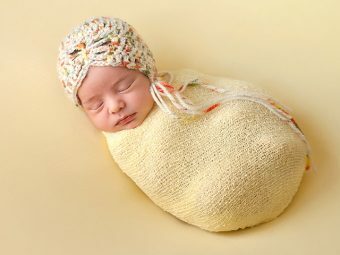 If you notice your baby sleeping with eyes open for a long time at a stretch, go ahead and consult a doctor. That should help. Is It Harmful If Your Baby Sleeps With Eyes Open? Does your baby sleep with eyes open, is it looking odd at times? But don’t worry as it is normal and safe. Doctors confirmed that sleeping with open eyes is no cause for worry or harm. Doctors have often said that sleeping with the eyes open occurs during REM. This is a very active stage of a baby’s sleeping cycle. Babies tend to spend much more time in REM than adults do. This covers around 50% of the total sleeping time of your little one. What Should You Do About This? If your baby’s habit of sleeping with open eyes is getting troublesome for you both, gently stroke his eyelids until they are closed. Make sure your little one has completely fallen asleep before you do this. If your toddler continues to exhibit this sleeping habit even after 18 months, it is a good idea to consult a pediatrician. This kind of sleep habit will still turn out to be a perfectly normal issue, although rare cases may show an eyelid malformation. Try not to stress over the matter as it is hardly something threatening. Your baby will outgrow this habit by the time he or she is between 12 to 18 months of age. 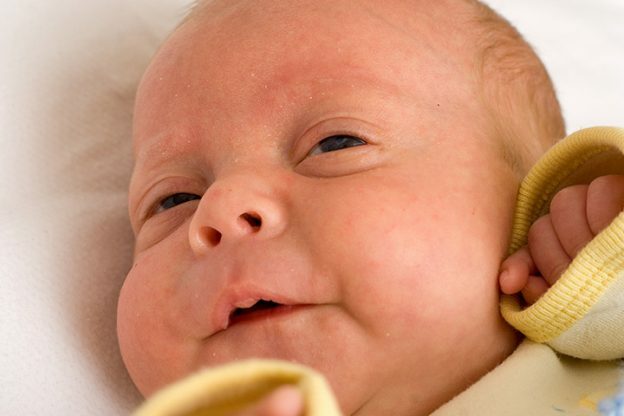 You may find it abnormal, but babies can experience sound sleep even with their eyes open. If you are still worried about your baby in regard to the sleeping habit, visit a health expert and talk about it. Sleeping with eyes open is a common thing among infants and no cause of trouble at all. If it does not bother them, don’t let it bother you. We hope you have a better understanding on why do babies sleep with their eyes open now. Please feel free to leave your comments below, we love hearing from you.